If we have found a common denominator in the Motor Show of Geneva this year have been electric vehicles. 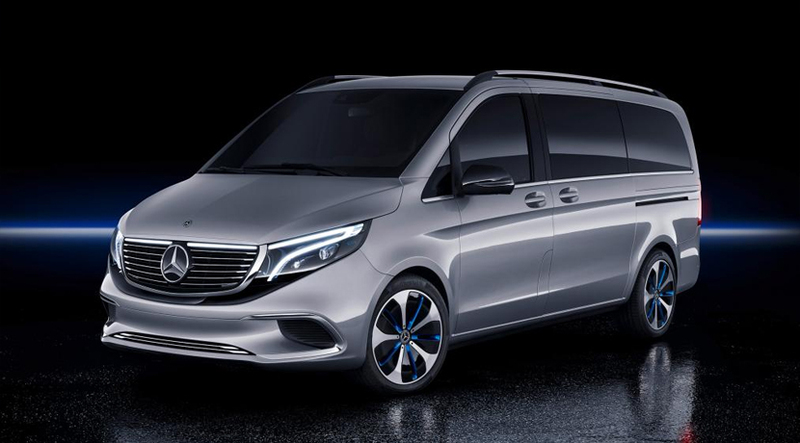 The automotive world is preparing for the mass arrival of this type of cars, and Mercedes did not want to miss the occasion by launching a fully electric van . I present the Mercedes-Benz Concept EQV. Electric vehicles have a very different approach to other types of cars presented at the Swiss show, more focused on being fast in the track as the Ginetta Akula or the Bugatti La Volture Noir. Their main preference is to be efficient and travel as many kilometers as possible. 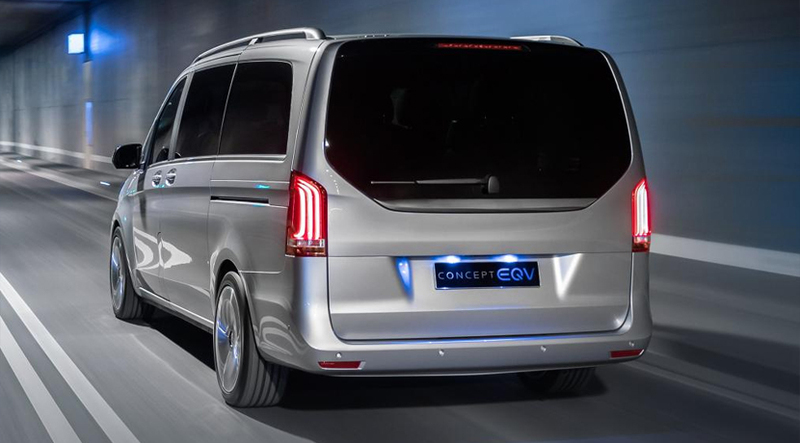 In the case of the Mercedes-Benz Concept EQV, its figures are not impressive, but they do mark a starting point for what will be the electric vans of the future. Inside, it incorporates a 100 kWh battery pack that will travel 385 kilometers without stopping to recharge, according to the tests of the WLTP standard. Thanks to the electric motor housed in the front axle, which will be able to produce 202 horsepower 100% electric, it will be able to reach maximum speeds of 160 km/h. As I said, it's nothing amazing, but most electric vehicles do not have incredible speed. Of course, we still do not know figures of acceleration, section where this type of vehicles take out chest. It is also important to note that can recharge 100 kilometers of autonomy in just 15 minutes . Although there is still much to be done in this section, the numbers are becoming more favorable for the electric vehicles side. As for the design, the Mercedes-Benz shapes have been modified slightly. 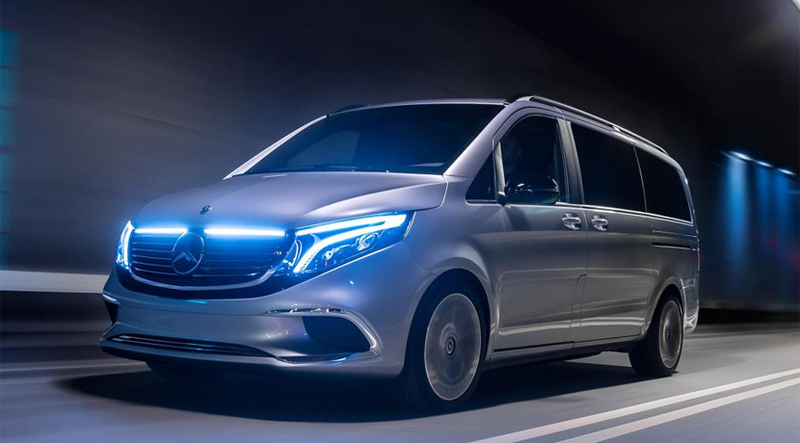 Benz V-Class , adding a front grille that now has LED daytime running lights, the air intakes have been slightly tweaked and 19-inch alloy wheels with blue details have been included. 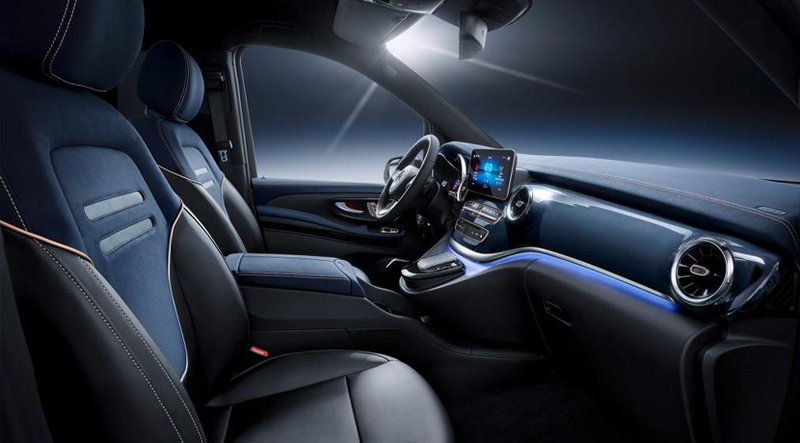 Finally, the Mercedes-Benz EQV has the latest version of the Mercedes infotainment system, called MBUX, which we could already test in the new Class A, and that learns from our habits to better adjust different parameters of the car, such as the interior temperature. The production version is expected to be shown in September at the Frankfurt Motor Show . In three months we will see a new Ferrari product, and it will be hybrid! TrailHawk, the bad guy from the Jeep Cherokee. This site is in no way affiliated with or endorsed by Mr. Green Taxi LLC. It exists as a compendium of supporting information intended for informational purposes only.